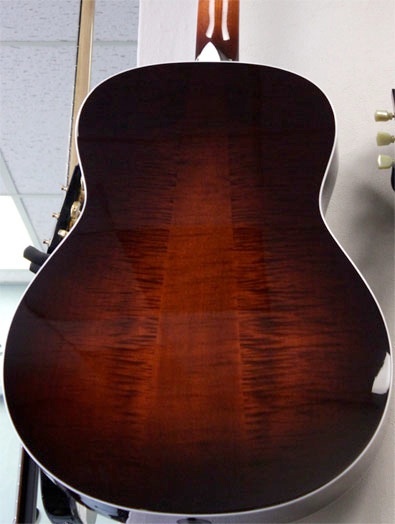 We carry the Spruce/Big Leaf Maple Taylor 618e. Currently out of stock but available by order. 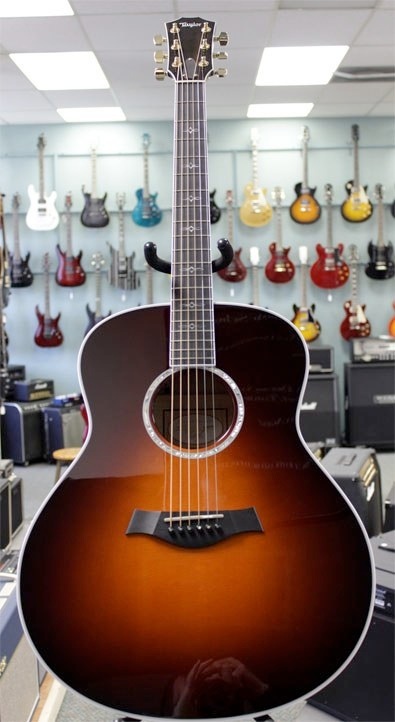 The newest body shape is the largest, most powerful shape available from Taylor. What began as a rethinking of the traditional Jumbo turned into an all-new guitar that delivers the engrossing power that has drawn players to larger body shapes for years. What separates the GO from the Jumbo is that you have a similar size and frequency spread but with a more balanced overall tone. Maybe the biggest improvement is that the GO is much more player friendly than traditional large-body guitars. 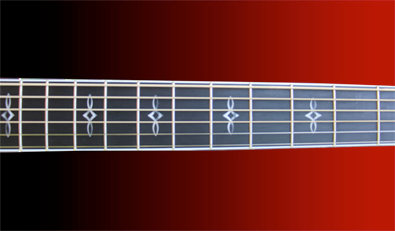 A small soundboard requires less energy to get it moving, and larger soundboards require the player to play harder to excite the top. The new Grand Orchestra offers the benefit of a huge-sounding guitar without needing to hammer on it to make great music. It’s much more sensitive than the traditional Jumbo.